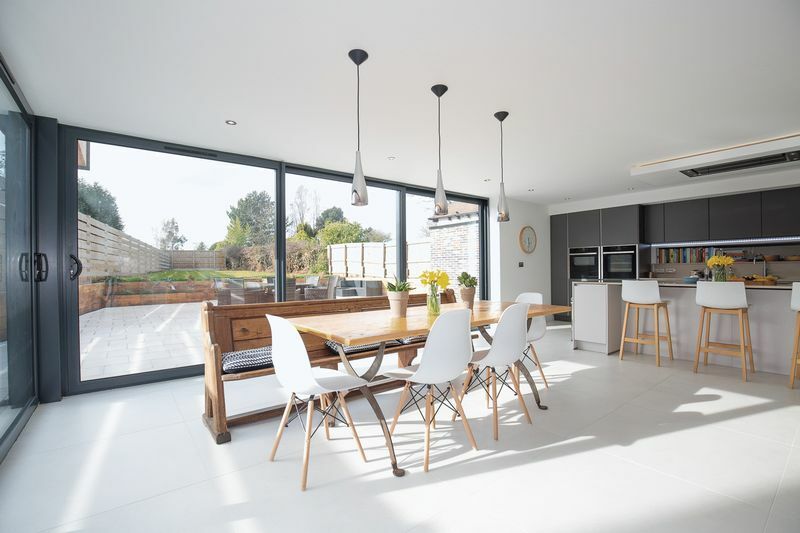 This stunning house has the real wow factor and for anyone with an eye for architecture, Zinc House is a true modernist masterpiece designed and built with top quality materials and state of the art technology. 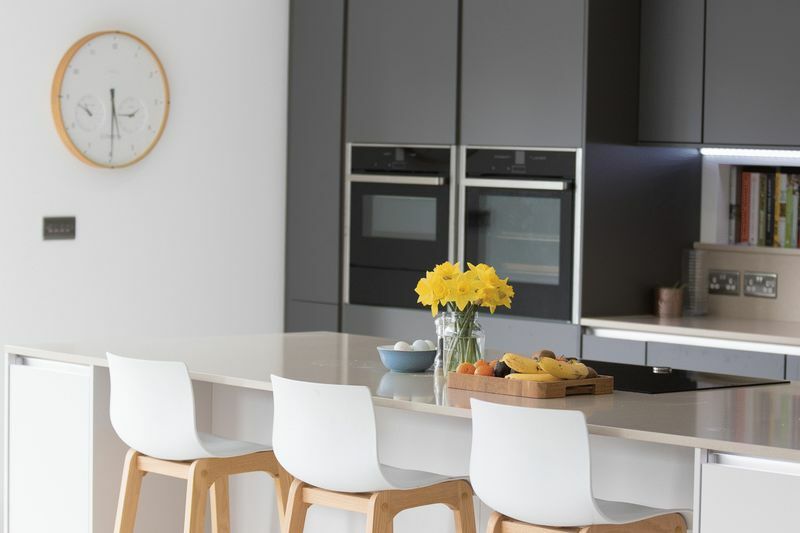 Zinc effortlessly blends all this form and function with the advantage of providing a warm and welcoming light filled home. Come and take a look around….. 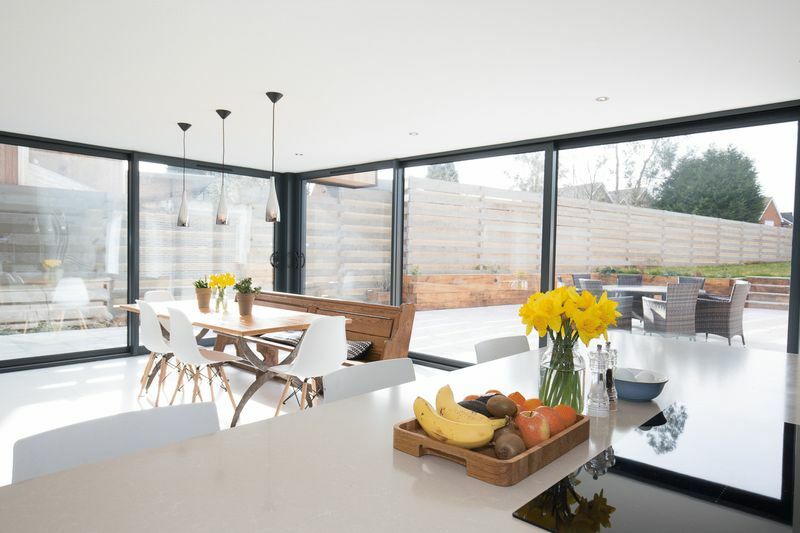 Located on the border of the Midlands and Warwickshire and surrounded by renowned institutions, distinguished culture and leisure Larch House has been designed by the award-winning architects Studio Spicer and built by renowned local developer Ward Burges. "Our passion is to create homes that will be a legacy for our children and that we'd love to live in!" David Burges, Director. 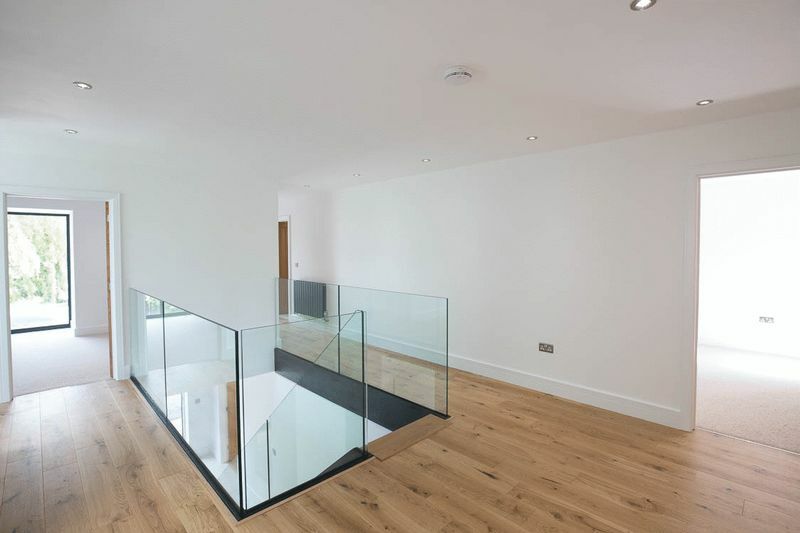 “We pride ourselves on inventive and innovative solutions creating ambitious and enthusiastic architecture.” Oliver Spicer, Architect and Managing Director. 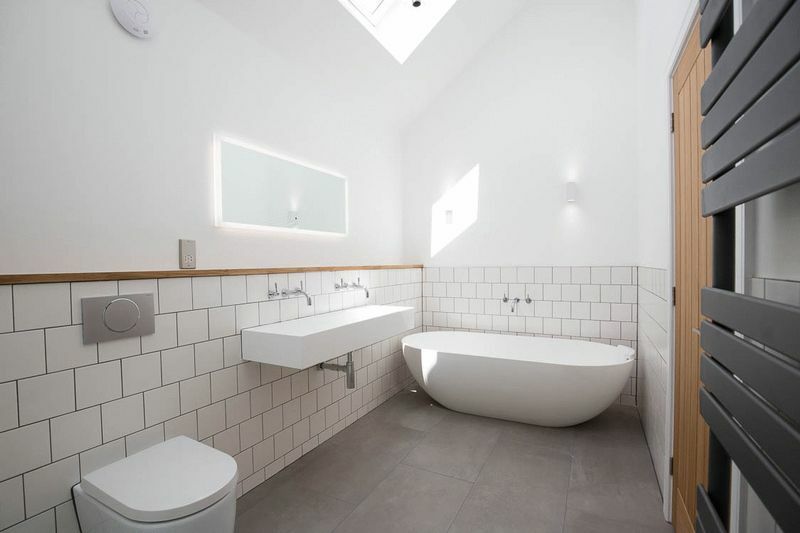 There are not enough superlatives to adequately describe this gorgeous home. Every thought has been put into the aesthetics, and quality and style just ooze from every corner! 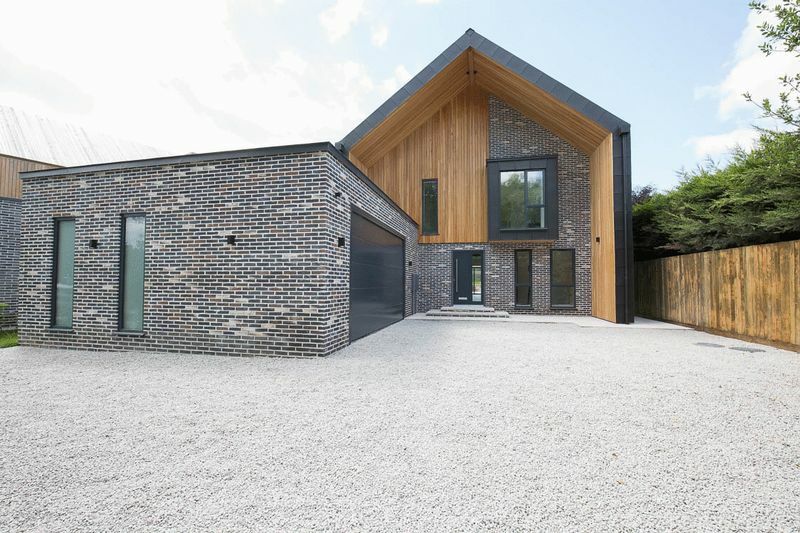 As you approach across the gravel driveway towards the front door you can’t help but draw a breath at the actual ‘presence’ of the property and marvel at the blend of materials that have been used, creating harmony between the handmade bricks, Siberian larch wood, zinc, glass and steel. 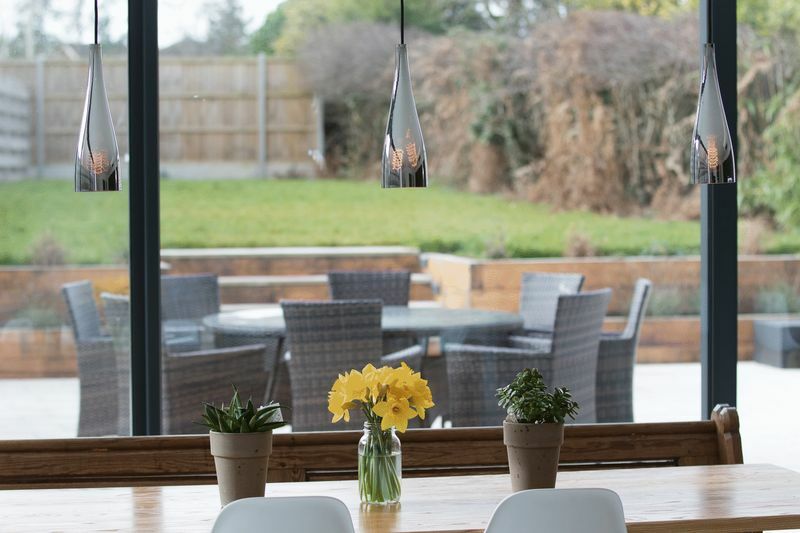 The extra wide bespoke front door opens onto a spacious and welcoming reception hall with ceramic tiles flowing through the double doors into the kitchen/dining space that’s generally regarded as the ‘heart of the home’. 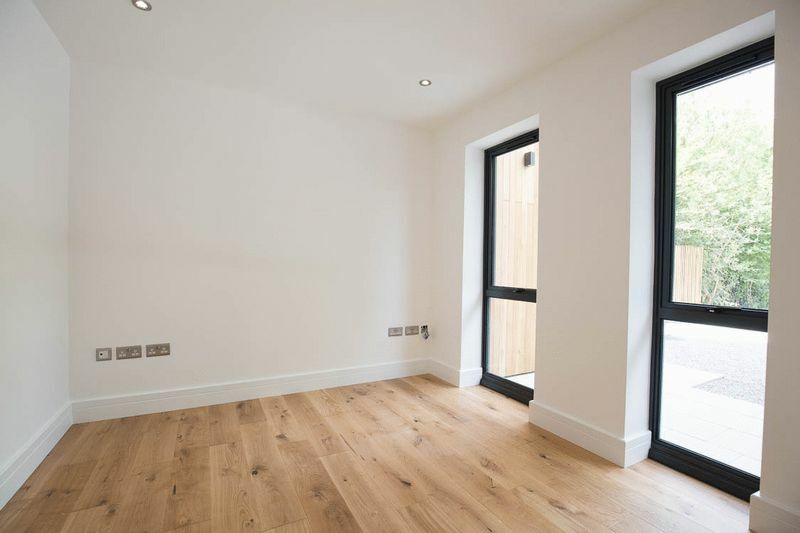 Underfloor heating throughout the ground floor keeps everyone comfortable at an ambient temperature, individually controlled in each room. 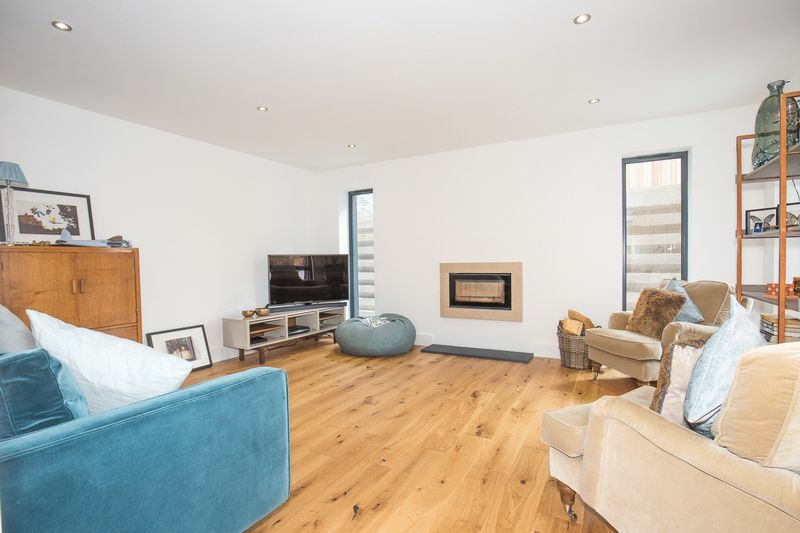 The kitchen/dining/family room is a welcoming space that’s sure to become the heart of this lovely home. 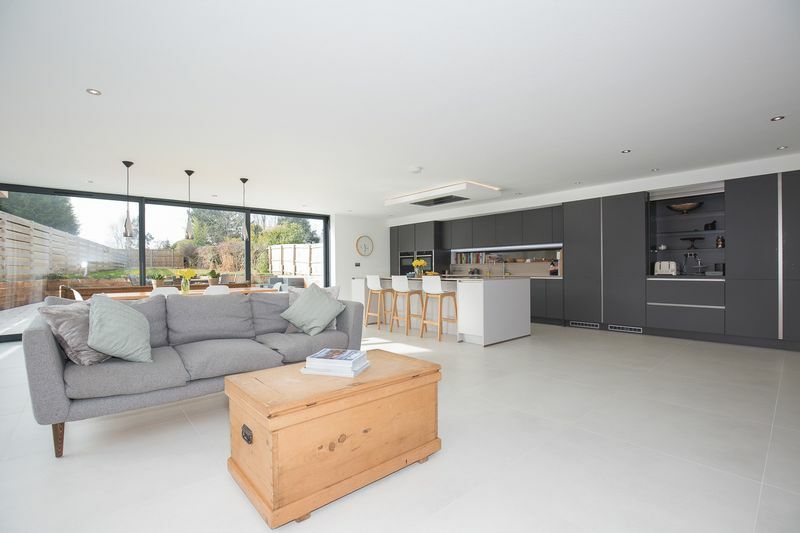 Floor to ceiling glass sliding doors on two sides open onto a large terrace and steps lead up to the lawned garden. 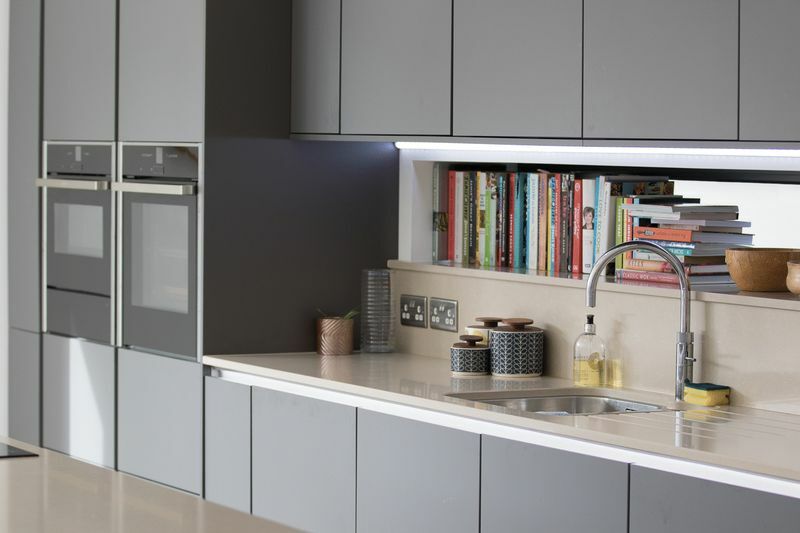 Integrated appliances, Nobilia units and silestone worktops, InSinkErator, boiling water tap and zoned LED lighting. 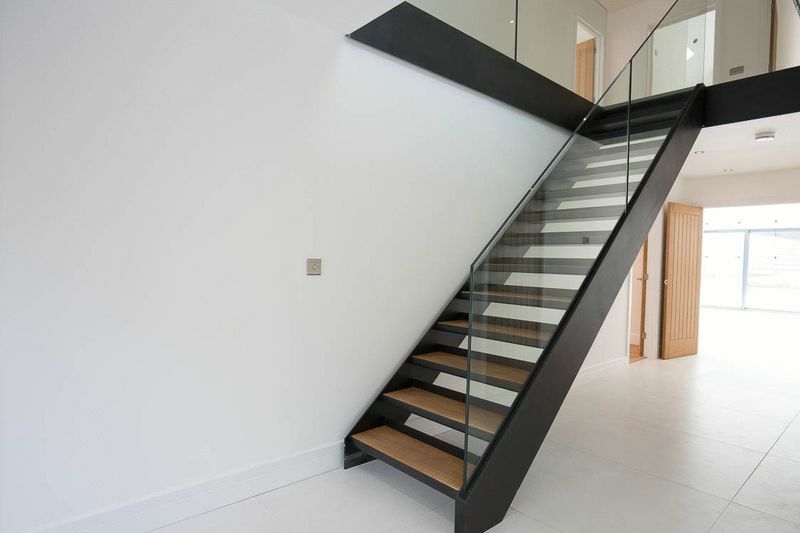 A bespoke steel staircase with wooden tread and frameless glass balustrade leads from the reception hall. 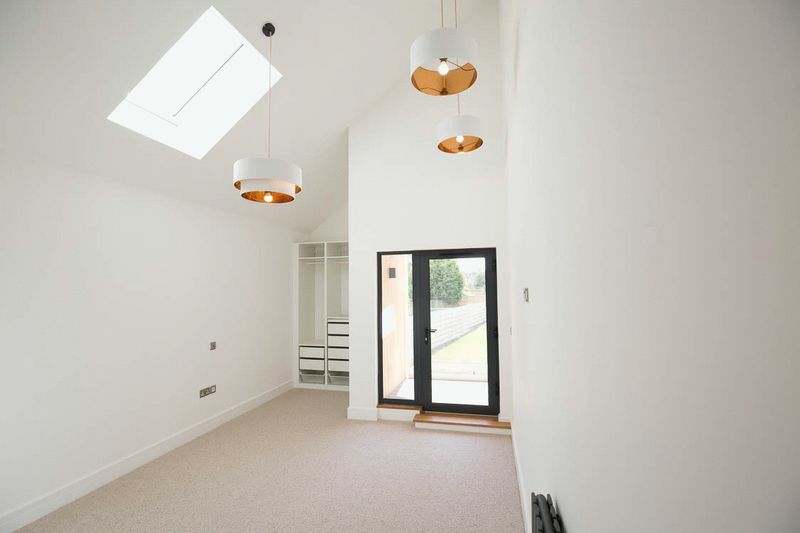 Full height windows from the ground floor throw lots of natural light onto the spacious landing. For your comfort all the bedrooms are carpeted. 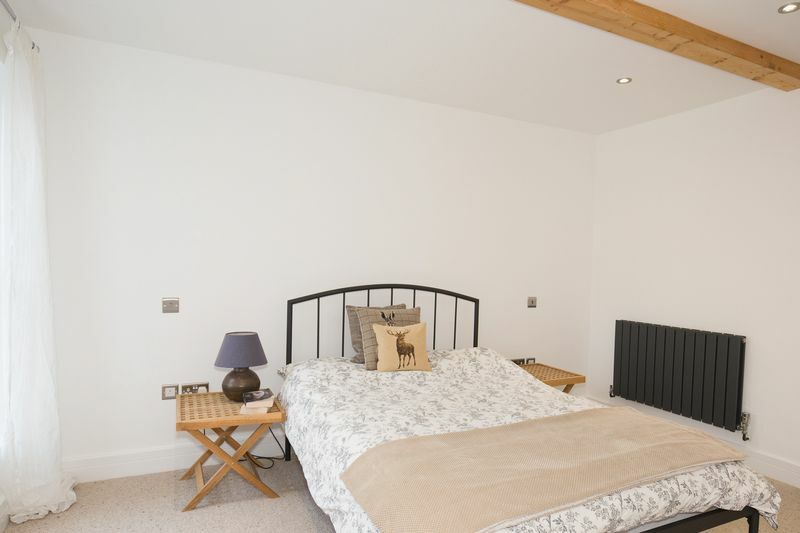 The master bedroom and guest bedroom each have a private covered balcony and en-suite shower rooms. 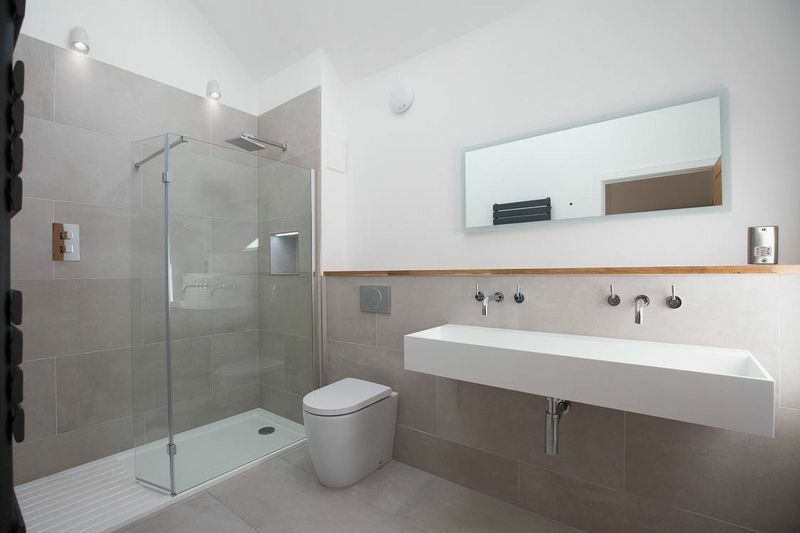 A carefully selected natural colour palette of tonal colours have been used in each of the shower rooms. 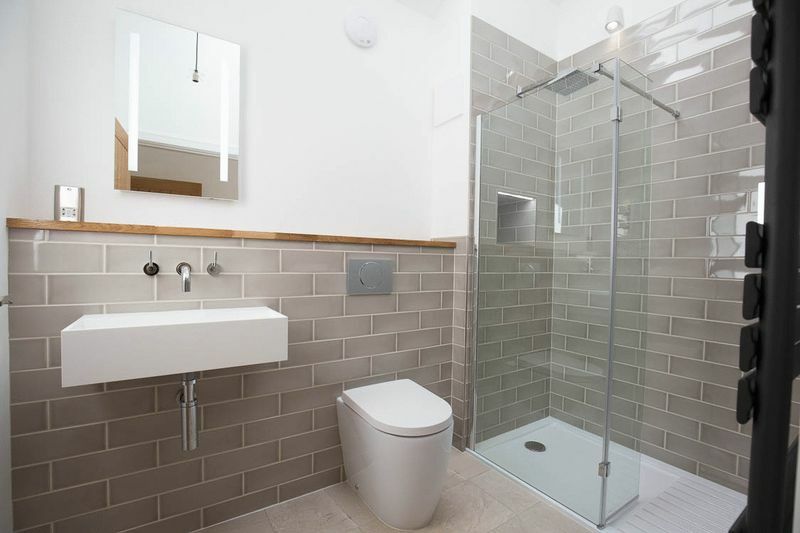 Each one has been styled and finished with Lusso white sanitary ware and features fully tiled walls and floor, large walk in showers and contemporary Italian stone resin sinks. 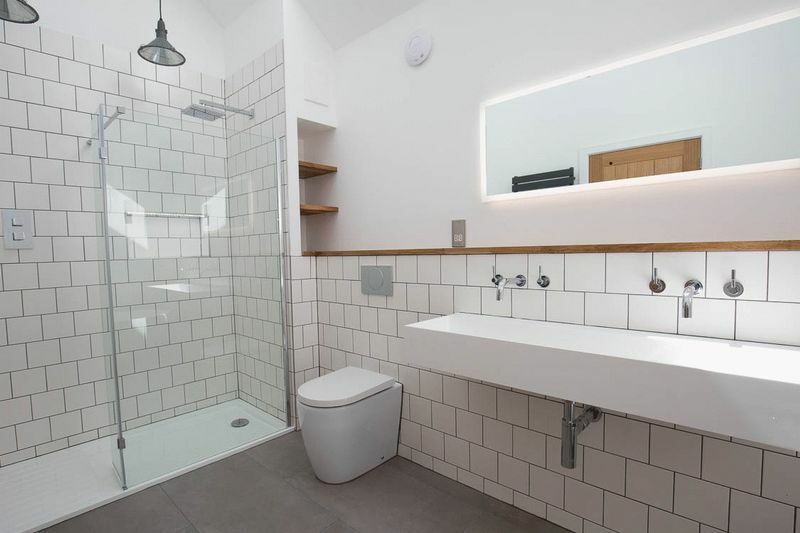 The family bathroom has feature oval tub, large walk in shower and stylish lighting– a really luxurious space as you would expect! To the front of the property the double garage has extra space for two wheeled toys, a workshop or maybe a small boat! 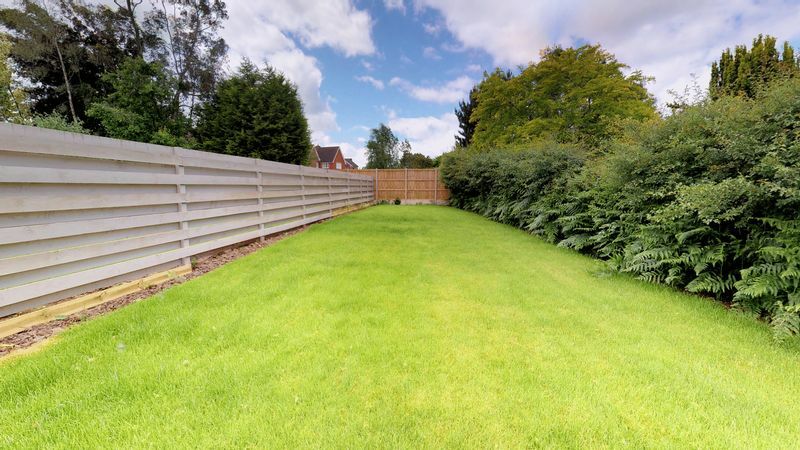 To the rear, the garden is simply laid out with bespoke timber fencing, which is totally in keeping with the overall design. The large terrace is partially covered so come rain or shine the outdoor space can be enjoyed all seasons! The historic town of Kenilworth is very close by and has a stunning Mediaeval Castle and the lovely Abbey Fields which includes a lake, swimming pool, tennis courts and children’s play area. Nearby are several excellent golf courses, and first class private and public leisure facilities, There is a diverse range of, bars and restaurants including one which is Michelin starred. A real food heaven. Kenilworth Old Town is a delight to walk around and is a short stroll to the main shopping area in the town centre which includes a Waitrose and Sainsburys. There are ofsted well regarded State Junior and Senior Schools in the town. 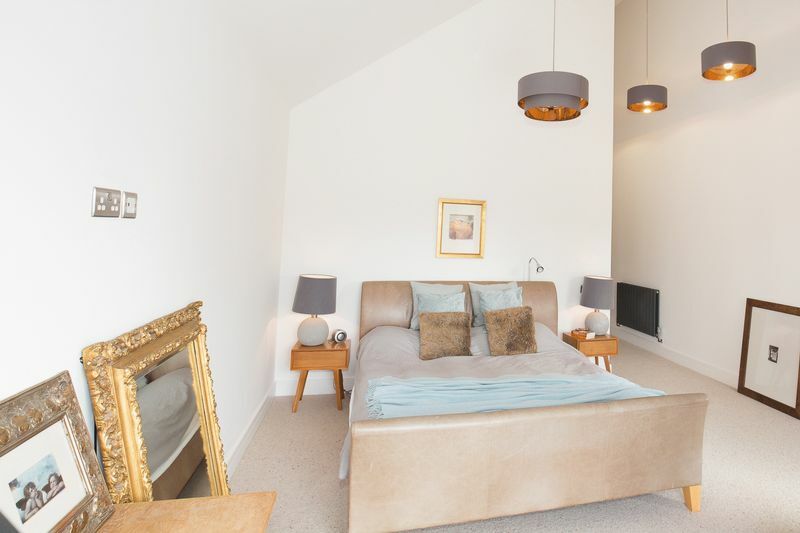 Close by are several excellent Independent Schools and Warwick University. Transport links are excellent with access to major road networks including the A46, M40 and M42 and M6. Kenilworth train station provides rail transport to Coventry and Leamington Spa. In addition there are several train stations within 15 minutes, serving stations in London and Birmingham, the North East and South. Birmingham Airport is approximately 20 minutes by car. From the A46 take the Stoneleigh exit and head towards the University of Warwick on the Stoneleigh Road. Go straight over at the island, onto the road that becomes Gibbet Hill Road. The property can be found a short distance along on the left side of the road and can be identified by the Vivendi For Sale board. Gas central heating system. Mains gas, electricity, water and drains are connected. Full double glazing. 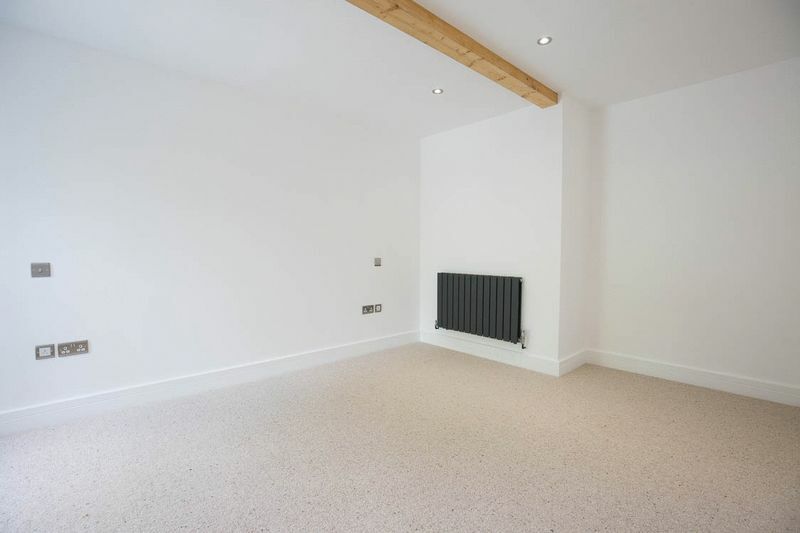 Cat 4 wiring to kitchen and sitting room, plus all bedrooms. All items of fixtures and fittings mentioned in these particulars are included in the sale, all others are specifically excluded.